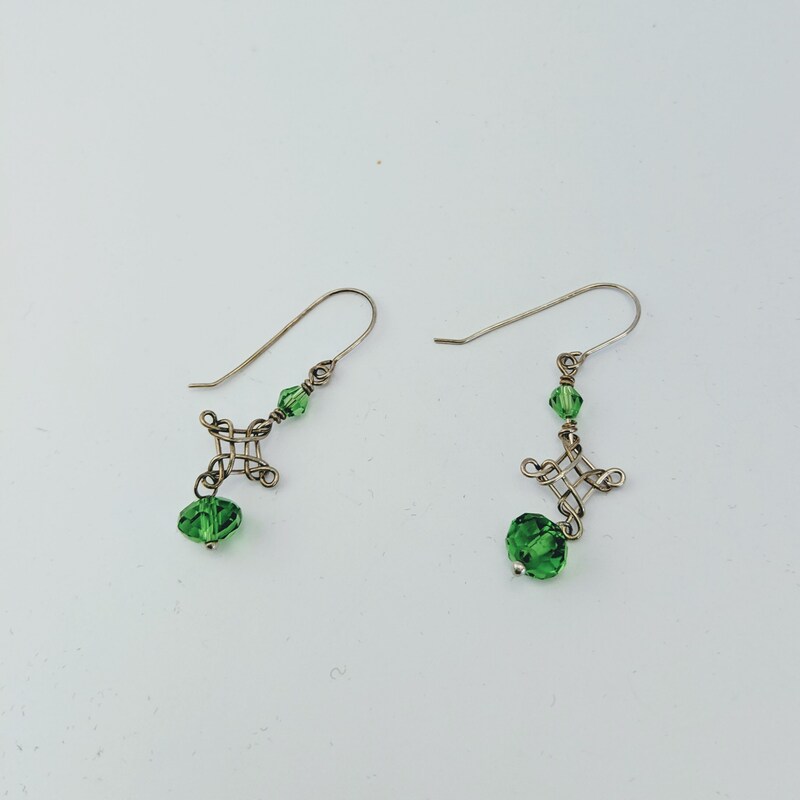 Be Wearing the Green! 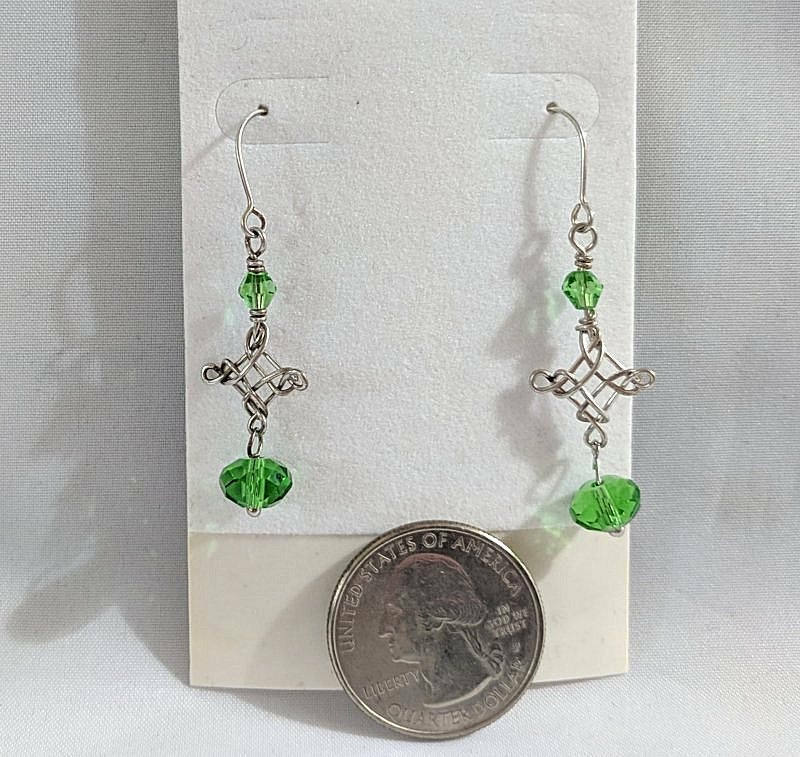 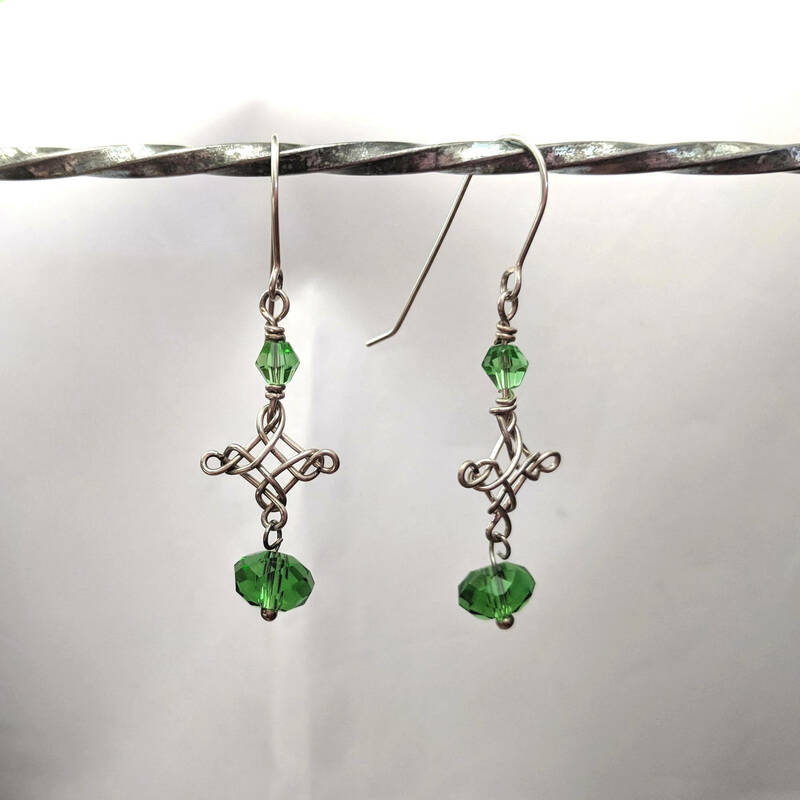 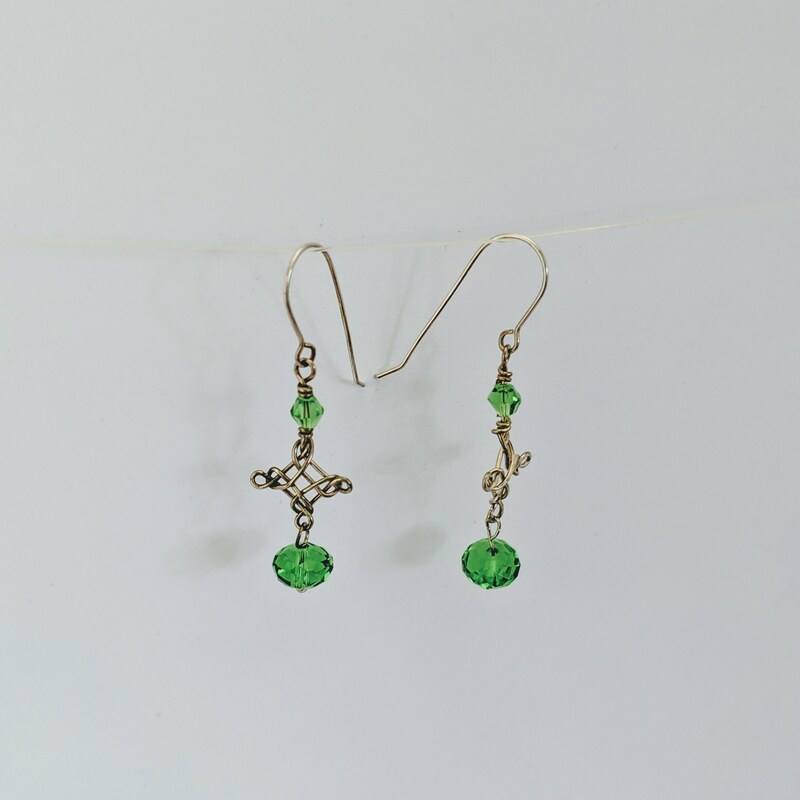 A unique pair of wire-wrapped pendant earrings made of green Swarovski crystals and jewelry wire that is wrapped to form a Celtic cross. 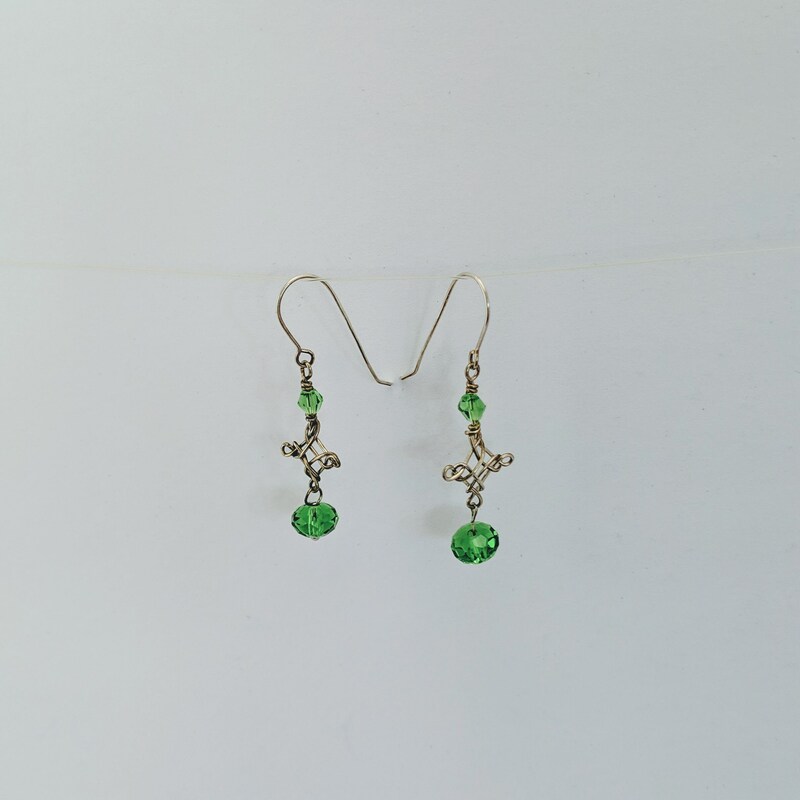 This handmade design has another crystal dangle hanging from the bottom of the cross. 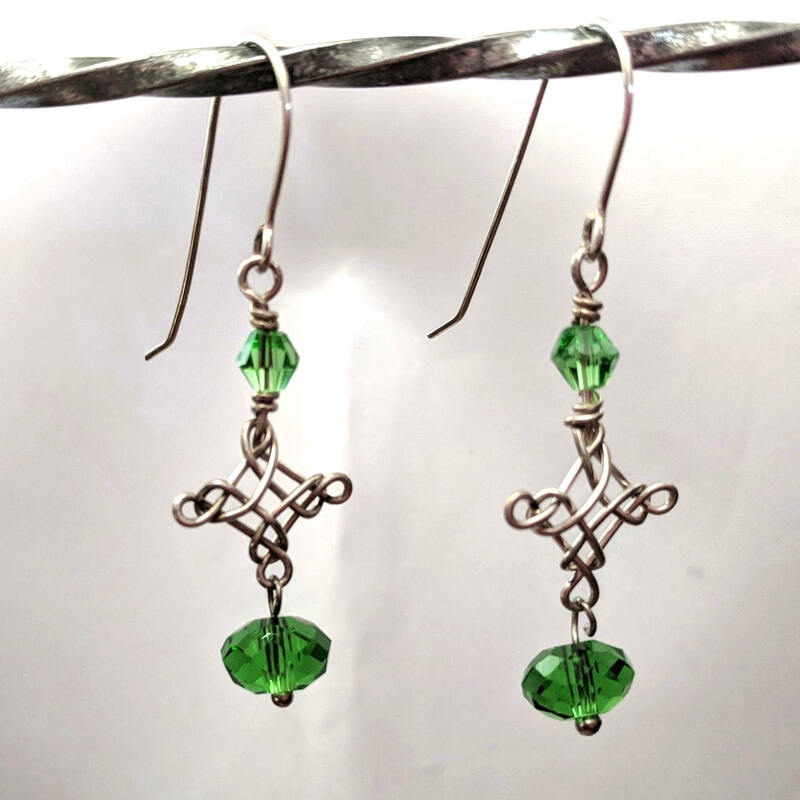 It is the perfect way to say "Happy St. Patrick's Day!" 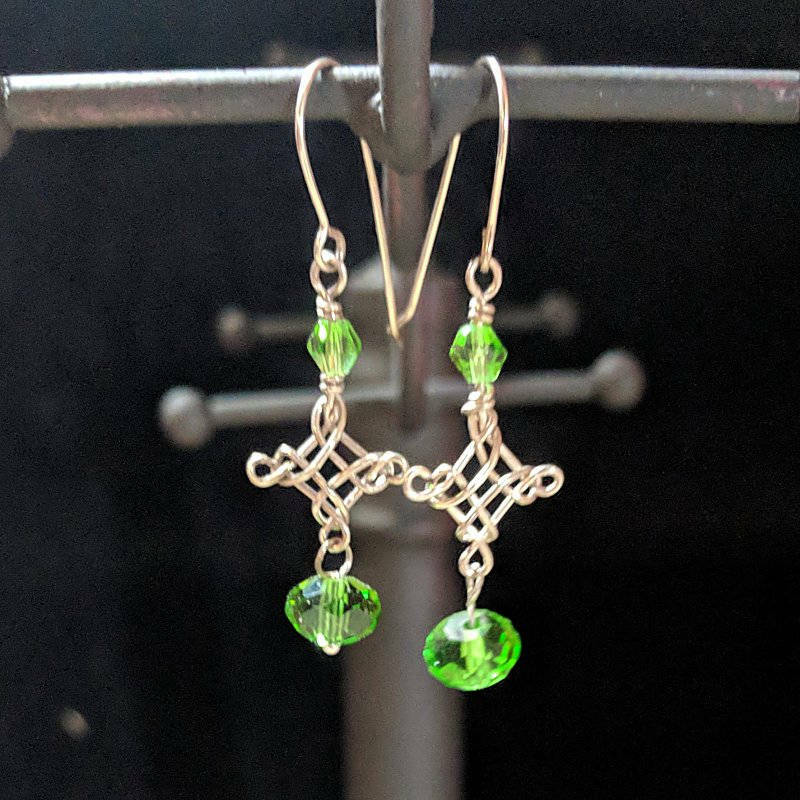 Or Happy Birthday to an August Leo! 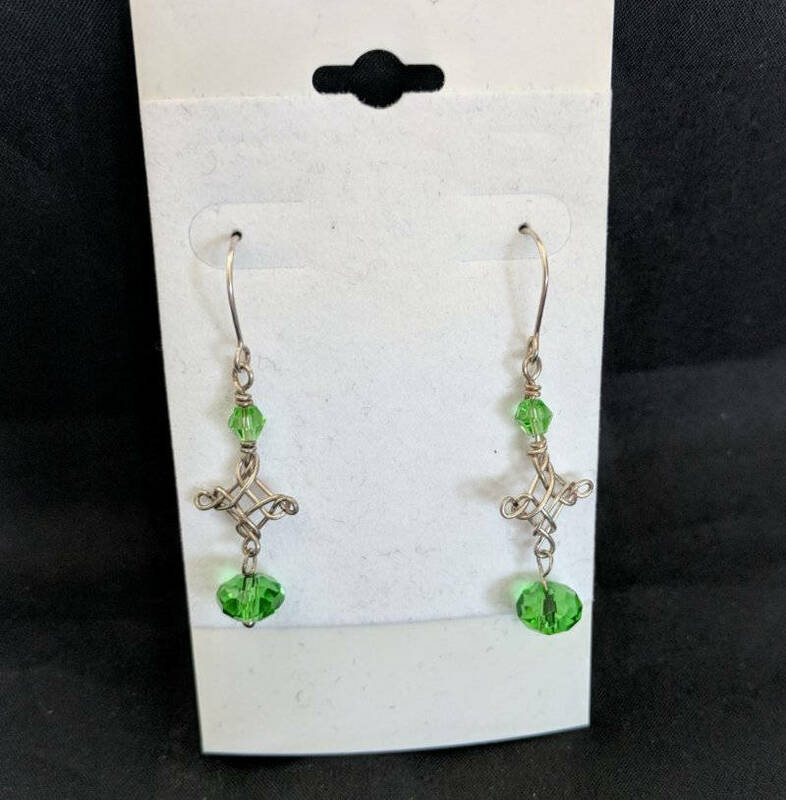 Custom Order for some ones birthday - A birthday chart is included with this listing to view other months and their crystals.